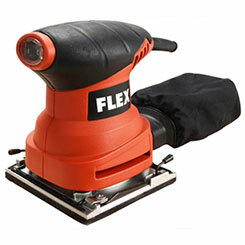 FLEX have a range of high-end corded and cordless power tools specifically designed for grinding and polishing. Experts in this field, over 70 years ago they invented the first angle grinder and have continued to use innovation to develop their products and fulfill the demands of the user. One of their biggest successes has been the Giraffe Sander, lightweight and ideal for those hard to reach areas. All of our power tool products are backed up with stocks of compatible sanding papers. Feel the difference of FLEX at My Tool Shed.